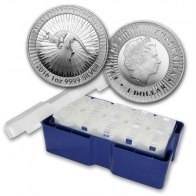 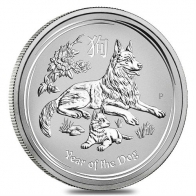 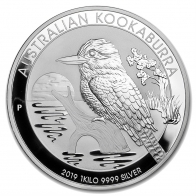 The Perth Mint in Australia release a number of silver coins annually. 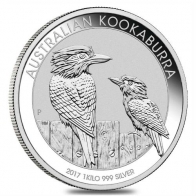 These include the silver Koala coin, the silver Kangaroo coin, the silver Kookaburra coin and the silver Lunar series coin. 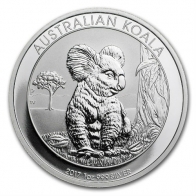 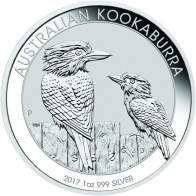 The silver Kangaroo coin is currently only available in 1 Ounce size, however the Koala, Kookaburra and Lunar series coins are available in multiple sizes up to 1 Kilogram. 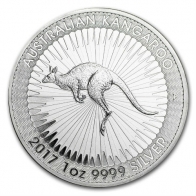 The Perth Mint also release the Kangaroo coin in gold and in platinum. 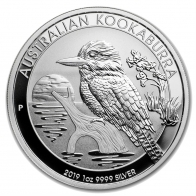 Perth MInt silver coins are available for VAT-exempt Swiss storage or delivery worldwide, and may be purchased using Bitcoin, CHF, USD, EUR and GBP.